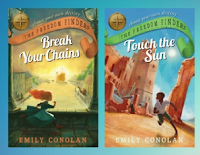 Join Emily Conolan as she celebrates a personal writing milestone – 1 year as a published author – and provides behind the scene insights into research and investigation to underpin her next work in The Freedom Finders series. I’m now coming up for my one-year anniversary of being a published author: my first two books, Break Your Chains and Touch the Sun, were published by Allen & Unwin in April 2018. Releasing these two books simultaneously was a huge milestone for me, personally and professionally. But now there’s a third book in The FreedomFinders series on the way – due for release in August this year. It’s called Move the Mountains and, like the first two, it’s an immigration story with an interactive structure, where readers can make choices that direct the plot as they go along. This book opens in the final months of WW2, when our protagonist – simply known as ‘you’, because the books are written in the second person – lives in the small Italian town of Lenola. You are only eight years old, and one night you wake to see a plane shot right above your village. You glimpse a person parachuting out of the flaming wreck. What you choose to do next will determine the course of the rest of your life. Researching this book has been unexpectedly rewarding. World War Two is, of course, a fascinating and well-documented time in history, but my new book mostly takes place in the decade that follows it, when Australia began to accept new migrants en masse from war-ravaged Europe. I was very fortunate to receive a grant from Snowy Hydro to travel to Canberra, Cooma, and the Snowy Mountains to interview some of the first migrant workers to contribute to this extraordinary project. Most of them were barely out of their teens when they left Europe behind: now they are in their nineties. They had very little idea of what to expect from their new lives, yet they met their challenges with an incredible level of tenacity and enthusiasm. The theme that kept coming back was how happy they were to be able to bury the hatchet of WW2, and throw themselves into a nation-building project on which former enemies could work side-by-side. The Snowy Hydro Scheme itself is an engineering wonder. I was also able to connect with my extended Italian family through writing this book. 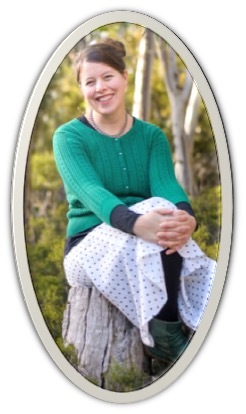 My Auntie Rosella has been a wonderful proof-reader and cultural consultant, and I’ve gained so much pleasure from getting to know her better and working with her. She was actually the one who told me of the plane that was shot down over Lenola, and of my distant relative Dan Quinto, who saw the parachutist falling and, along with his family, saved three airmen’s lives by keeping them hidden in the caves nearby until the area was liberated some months later. In Rosella’s version of the story, the airmen were Australian and, when the war was over, they wrote to Dan’s family and invited any fit young men to come and work on their farms. Once I spoke to Dan’s son, Joe, I found out that the airmen were American, and after the war they never heard from them again – the offer to come and work in Australia came from an entirely different quarter. But by that time, the die was cast, the story was too good to let go, and so it became the genesis of Move the Mountains. Immigration stories are all around us – and they are rich and delightful to uncover and share. That’s what I’ve learned from writing The Freedom Finders, and it’s something I hope will be passed onto readers, too. 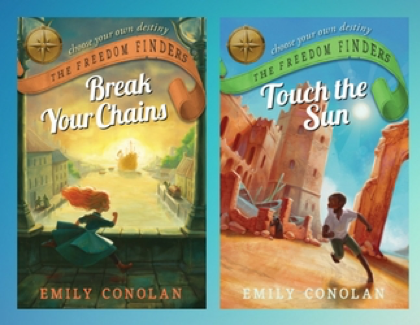 Emily, having a link between Australia and Italy in your story helps children appreciate the historical background behind the major engineering achievement of the Snowy Hydro Scheme. Your stories whether in print or shared in a presentation are always engaging, challenging and informative. Looking forward to this latest work!